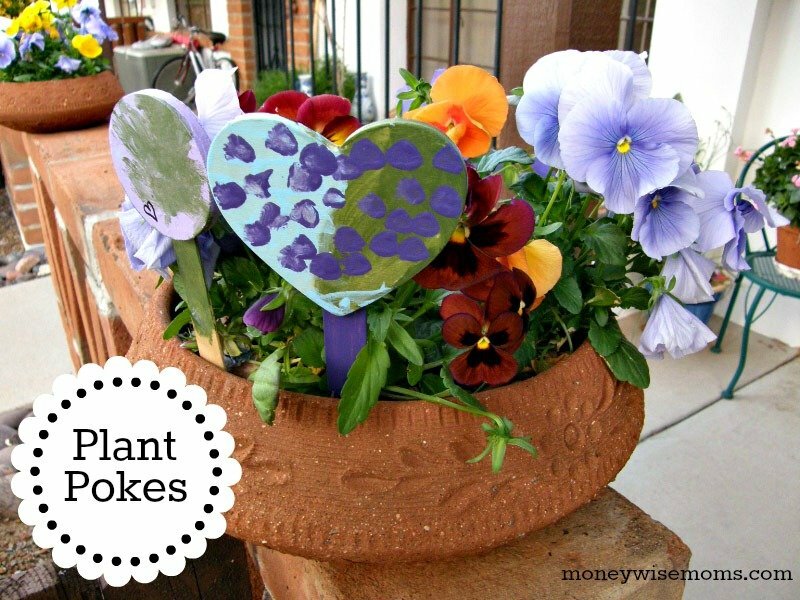 These Plant Pokes are an easy DIY to do with the kids. Besides planting our Square Foot Garden, the kids have been enjoying all the spring (and now summer) flowers growing all around. To liven up our potted plants, we made plant pokes–perfect for mailing to Grandma to put in her porch container. They’re also fun to stick into a mini rosebush as a great gift for a special teacher or neighbor. In my craft supplies stash, I found some leftover circles and hearts from a project years ago. 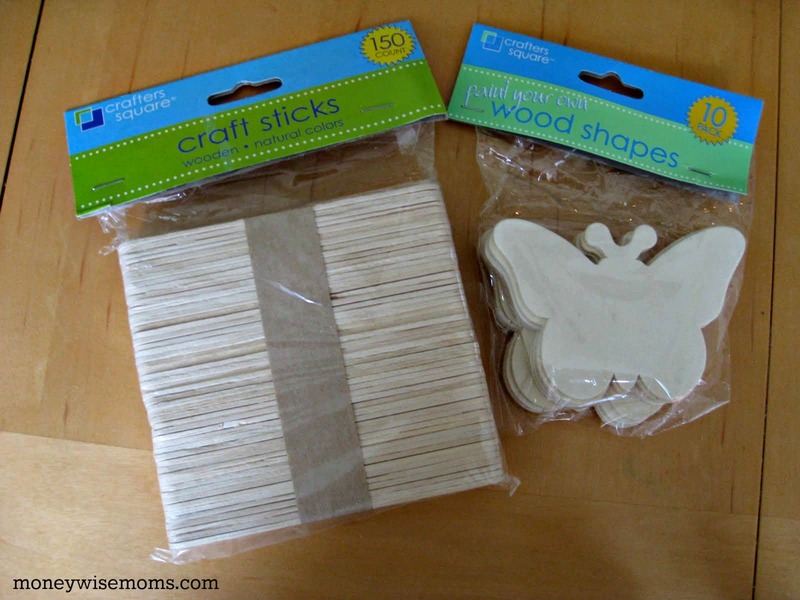 Then I headed to my local Dollar Tree to pick up a package of popsicle sticks and wooden cutout shapes (butterflies, dragonflies, teddy bears, etc.) for just $1.00 a bag. Sometimes they have a good selection of craft supplies! Decorate the shapes with paint or markers. Let dry. Spray each shape with matte sealer to protect it from the rain. Glue each shape to a popsicle stick using tacky glue or wood glue. Keep the stick natural so you don’t get paint or sealer in your soil. Once it’s solid, decorate your garden or potted plants with the plant pokes! 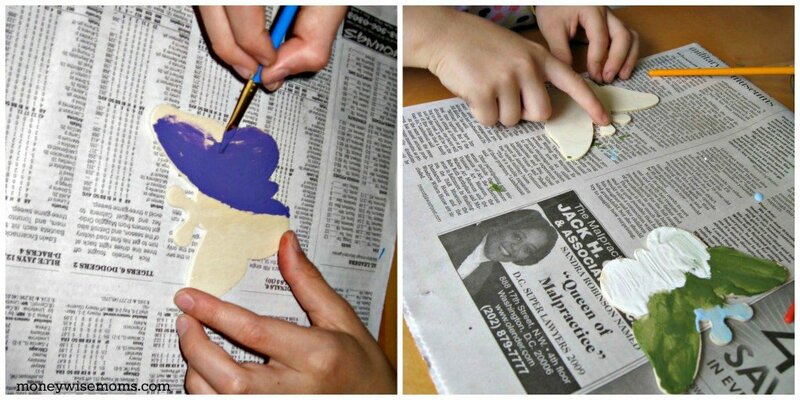 My girls had a great time decorating their shapes to send to Mema in Arizona. We also put a few in our own garden! This Plant Pokes craft is shared at Made by You Mondays.